The Adventure components at Krislund are outstanding and are available to all groups. The descriptions and pictures below will help with your planning. Pre-arrangement for using the facilities is required in order to ensure safety and productive use. Please contact our Krislund Office staff by phone at 814-422-8878 or by emailing us at info@krislund.org. The Climbing Wall is located in a natural area where all participants can concentrate on learning climbing skills. The five sided wall offers all levels of challenge: beginner, intermediate, medium and advanced. Built in the fall of 2014, this High Ropes Course is meant to challenge all participents mentally and physically. You won't find a more advanced course in the surrounding areas. 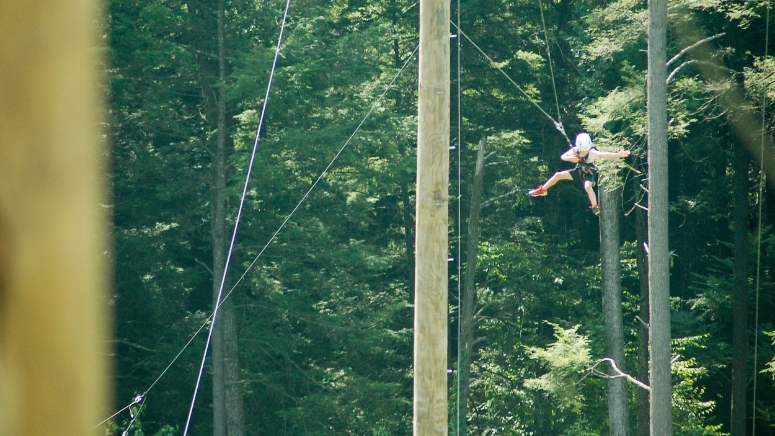 This Zip line is attached to the 52 foot climbing wall and extends over a natural meadow. One brave soul is strapped into a full-body harness and gets hoisted into the air by a pull-team to pull a rip cord and go flying. 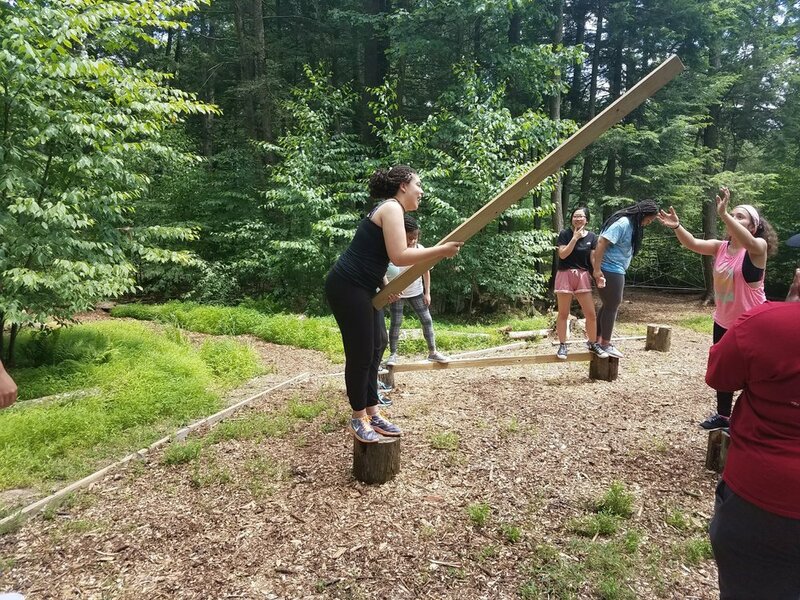 The Group Challenge Course (GCC) is a series of initiatives, puzzles and events that are designed to challenge a group to confront the ways and means of how they function as a group. Issues of cooperation, teamwork, communication, trust, leadership, roles, decision making, conflict resolution, planning, defining success/failure, evaluation, and celebration can all be addressed on the course. 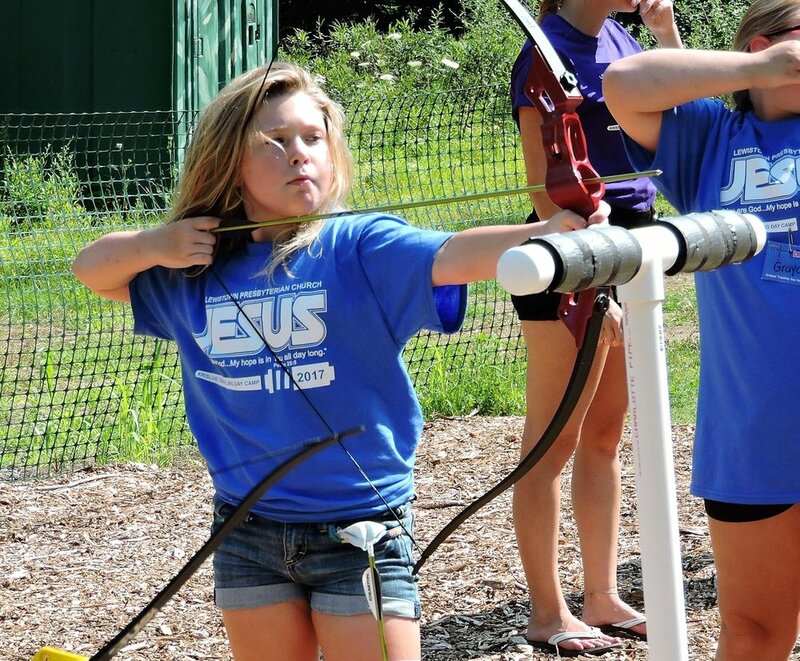 Krislund teaches the skills of archery using recurve bows and a private archery range. Krislund is now offering laser tag. This is a great way to build teamwork and work on communication skills. 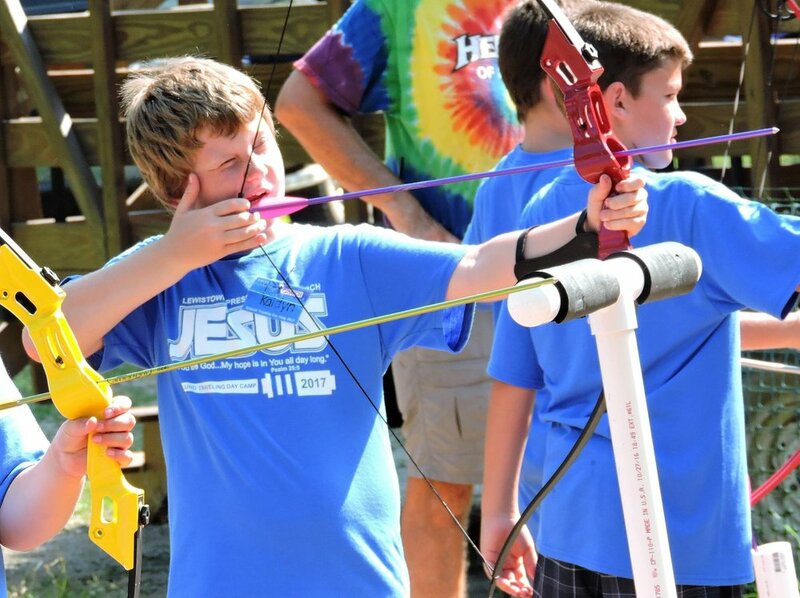 Check out the laser tag page under Summer Camp for more information. This event is the perfect indoor activity! Great for birthday parties, family reunions and youth groups. Come dressed in your neon clothing to make the experience even better! 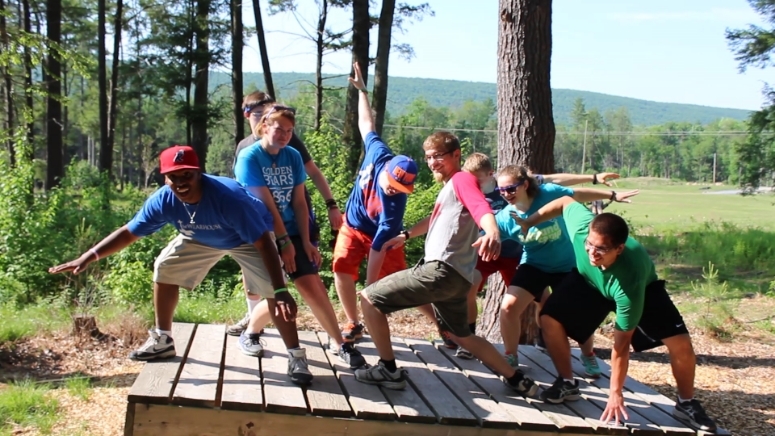 Work as a team on a vertical challenge course to reach the top. This is a great activity for those who are looking for something more extreme than the Group Challenge Course but not as adventurous as High Ropes. Another activity that groups or families can enjoy, Krislund’s disc golf course is situated near the pool complex. This activity is great for those who are competitive or just looking for leisure. 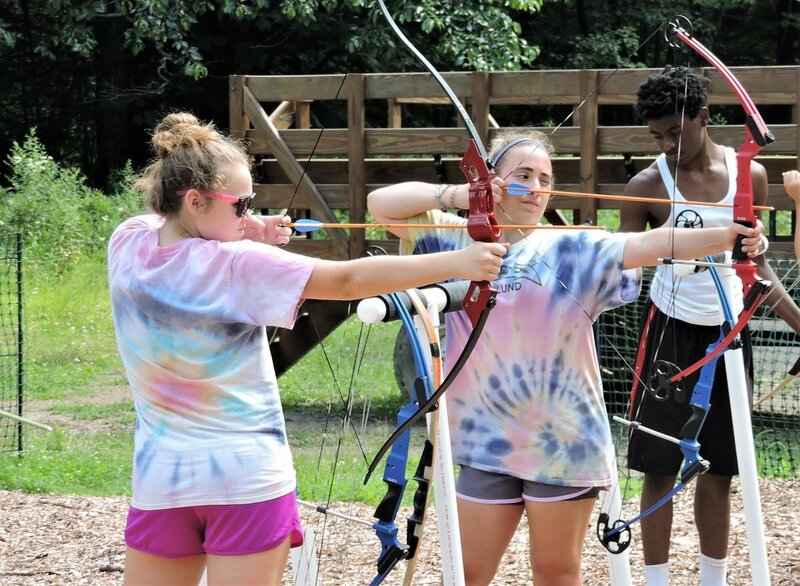 Fun outdoors includes dodging action in the Gaga Pit, shooting baskets or having a rousing competition on the sand volleyball court. In addition to open meadows, Krislund has two large open grassy fields. Various sports programs, including soccer camps, have utilized the fields. The big field is approximately 9 acres while the smaller field is about 5 acres. Warm weather activities include swimming in our huge pool, located in central camp. The newly developed labyrinth is available to all visitors at Krislund as a place for meditation and reflection overlooking our fields. The bench by the labyrinth commemorates the Rev. Tor Edvar, the first Director of Krislund. Krislund has 900 wooded acres filled with hiking trails of various lengths. Further, a pristine mountain stream provides many opportunities for learning about and enjoying nature. PLEASE NOTE: CERTAIN ACTIVITIES INCLUDING, BUT NOT LIMITED TO THE SWIMMING POOL AND ADVENTURE ACTIVITIES, ARE GENERALLY NOT AVAILABLE FOR USE DURING THE SUMMER CAMPING SEASON. PLEASE CHECK WITH OUR RETREATS COORDINATOR TO DETERMINE AVAILABILITY AND ASSOCIATED FEES.